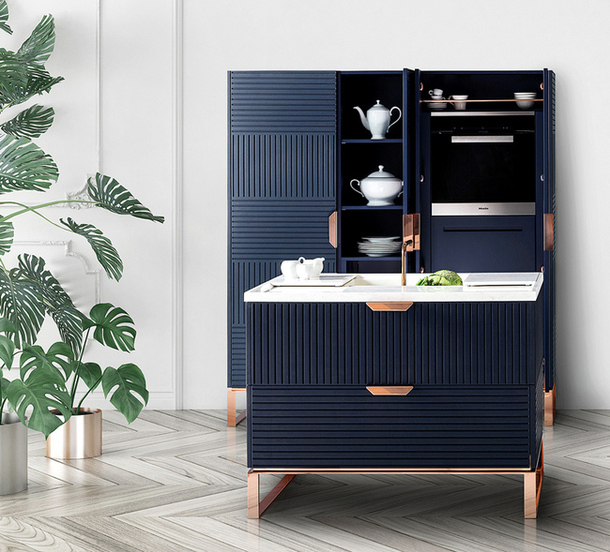 Arrangement of the kitchen is very important and difficult process, because you need to choose for this part of the house practical, comfortable and functional furniture. And if you take into account the modern realities in which the kitchen has ceased to be just a place where food is cooked, and is a full-fledged part of the interior composition of the whole house, then it is necessary to arrange it stylishly and beautifully. There are many styles in the design of the kitchen interior, some of them are very popular and universal, others like only true connoisseurs, and there are those that can cause real surprise and admiration. In order to choose the appropriate style for your kitchen, you should get acquainted with the most popular ones, study the features and requirements for space, as some look great in large rooms, and some vice versa in small ones. Scandinavian countries are considered to be Norway, Denmark and Sweden. These are countries with a distinctive culture and characteristics, harsh climate and diversity of the natural world. All these factors are reflected in the interior, in which the “red thread” is dominated by strict geometric shapes and light colors. Scandinavian-style kitchens The preference for light and often snowy-white tones is due to the lack of large amounts of sunlight and the short day of light that Scandinavians try to compensate for with the light shades mentioned. Scandinavian-style kitchens are becoming increasingly popular both among city dwellers and those who live in a country house. 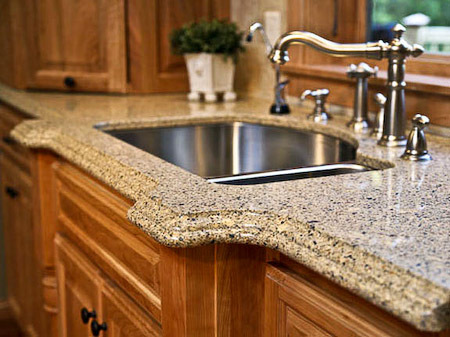 This style can be applied both in a large kitchen and in a medium-sized kitchen. 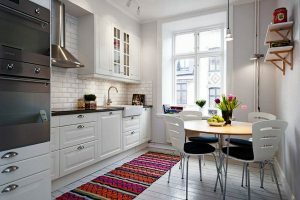 Even in small rooms, due to the abundance of light, the Scandinavian style will be appropriate. The functionality of each element is first of all. Scandinavian style in the kitchen seems cold and overly strict at first glance, but this is only the first impression; this style will help you to arrange a cozy, hospitable and functional kitchen. cuisine minimalism Minimalism is preferred mainly by residents of large cities, those who live fast rhythm, but at the same time, are aesthetes and perfectionists. This style originated during the peak of the popularity of modernism, combining also Japanese motifs. Modern minimalism is not so strict or, let’s say, radical, it is more practical and functional. Maximum space. It is necessary to try to increase it both visually and functionally. Kitchens in the style of minimalism look great in both small and medium spaces, and in the combined, when the living room and kitchen are combined with each other. The word “Loft”, if translated from English, means nothing more than “loft”. Also, this word refers to the upper rooms in warehouses. This style takes its popularity from the United States, where in the middle of the 20th century, empty industrial premises began to be converted into apartments and offices. The loft style captivates with its industrial expanse and its combination with ultra-modern furniture and appliances. This style is firmly entrenched in the United States and spread throughout the world, now very many people give their preference to precisely this industrial style. Loft-style kitchen. 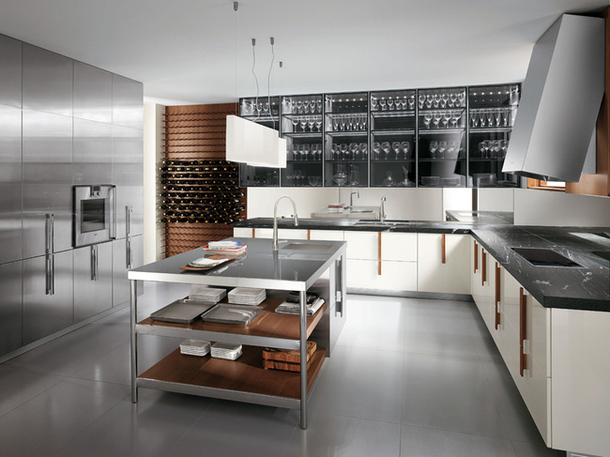 Loft-style kitchens are also not new or unusual, in big cities, even in the most new and modern apartments, the owners prefer this particular style when arranging the kitchen interior.